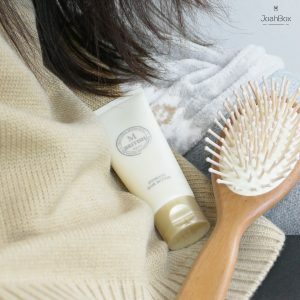 For 2019, we wanted to offer you the best start of the year by putting in our January Joahbox the best product to take care or your lovely skin. But we also wanted you to protect your hands from this dry cold winter. But we also added the perfect solution to get wonderful hair and nice make-up. To sum up, the best to do a make-over from head to hands! The Plant Base promises a healthy beauty with real natural skincare. This gem fills up skin with moisture and nourishment, all at the same time with zero side effects. 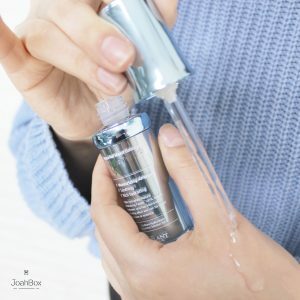 Next, it prevents moisture loss during the day by forming a strong skin barrier. As a result, your skin’s natural reservoir of hydration remains at optimum levels. This is the second variation of this month. As indicated by its name this gel is magic, works on troubled skin to give intensive care and prevents skin troubles and irritation. The AHA comes to control excessive sebum and dead skin cells to manage the main cause of skin problem. Ideal to cure acne or casual pimples too! How to use: Apply topically on the troubled area after washing your face. WARNING: You will get either the Waterfall Moist Balanced Hyaluronic Acid 100 or the AC Clear Magic Gel this month. Only one of those two products (depending on your skin type). British M is a brand created by the top Hairstylists in Seoul and used by them in over 100 high-end hair salons here! The Organics Hydrate Hair Butter is formulated with Shea Butter and Argan Oil to soften and moisturize your damaged hair. How to use: Two options, first apply after shampooing and leave it for 10-15 min as a hair mask and then rinse it. Or use as a leave-in treatment by applying a small amount to the damaged area (hair ends). This cream is formulated with seeds and oils to deep moisturize your hands and nails. It comes in 3 Variations: Aromatic (Jojoba Seed Oil), Floral (White Floral Complex) and Classic (Shea Butter). 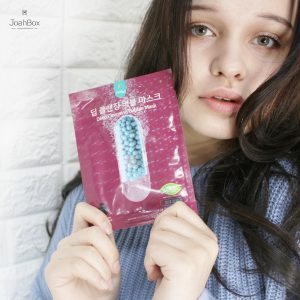 This is not a standard sheet mask, once on your skin, it makes bubbles to deep cleanse it and removes impurities. Long-lasting serum type of tint comes in 3 variations #No.01 RED, #No.04 CORAL, #No.05 MLBB ROSE. 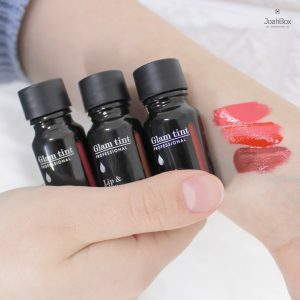 This lip tint can be applied for a full lip or as a gradient “Korean style”.